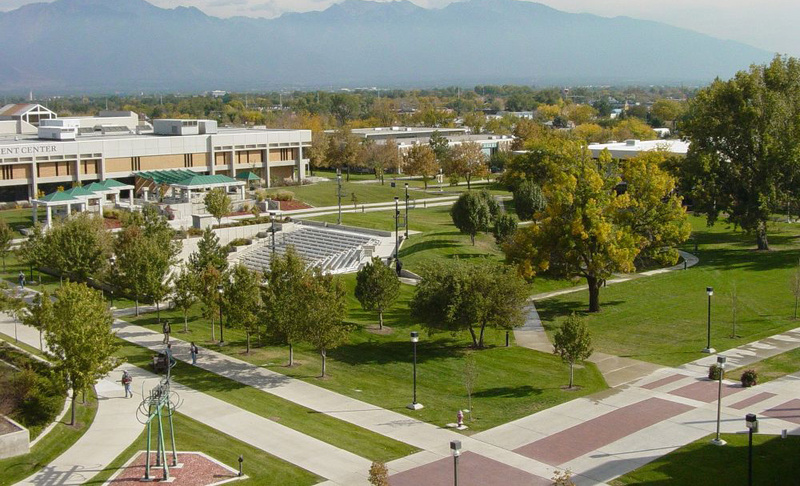 At Salt Lake Community College (SLCC), students in classes that use Lumen-supported OER course materials have higher passing rates, more A’s and fewer failing grades than classes that use expensive commercial publisher materials. Committed to expanding this success, SLCC’s math department adds more OER courses and sections each term. In Fall 2016, more that 3,600 students saved over $700,000 on the cost of course materials in a single term. In 2013, Salt Lake Community College collaborated with Lumen Learning on the Kaleidoscope Open Course Initiative, a Next Generation Learning Challenges project to explore the impact of open educational resources (OER) on student success at institutions serving high proportions of disadvantaged students. SLCC math faculty members had become interested in OER after seeing many students struggle to pay the $200 average cost of the commercial materials the department required previously. Starting with four math courses with lackluster passing rates, SLCC introduced MyOpenMath, an OER math solution supported by Lumen. It provides automatic access to course materials for every student, including instructional text, videos, and an online homework system. SLCC faculty members use community-contributed OER content to design courses, and they share new assessment items and other content improvements back to the MyOpenMath community for others to use. Evaluating efficacy after the 2013-2014 academic year, the impact on the 257 students in OER sections was significant. Together they saved over $47,000 in textbook costs. Students passing with a C or better increased from 59% in non-OER sections to 63% in OER sections. A quarter of students received A’s in OER sections, compared to just 15% in sections using commercial materials. Just 13% of students failed OER sections, compared to 20% in non-OER sections. Anxious to take a stand on textbook affordability and the benefits of OER, students lobbied campus leaders to make OER a sustainable part of the college’s curriculum strategy. Today they happily pay a low-cost materials fee to support OER courses, replacing the cost of expensive textbooks. This OER fee helps ensure SLCC can continue to add OER courses and sections. In fall 2017, more than 7,500 math students used OER, saving approximately $700,000 on the cost of course materials in a single term. On the strength of their early success with OER, the SLCC Math Department decided to complete an OER-based redesign of all courses in the math sequence pathways students follow to meet Utah’s state Quantitative Literacy (QL) requirement for non-STEM majors. They completed this systematic course redesign effort in 2017, with phenomenal results.